This exquisite, historic and architectural gem, with beautiful garden and river views, sits on one of the region's most coveted streets. Few homes enjoy restorations as this one has, with incredible precision and attention to details. Historically accurate King of Prussia marble steps with cast iron railings welcome you to this two and one half story, three bedroom, three and one-half bath home. 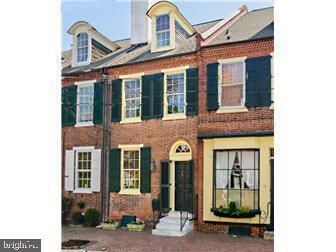 It hosts beautiful wood floors, high ceilings and lots of architectural appointments. The formal living and dining rooms enjoy great open space. A magnificently designed kitchen opens to a family room with a rear bank of doors and windows that afford great light and Delaware River views. A deck overlooks the gardens and river traffic at this level. 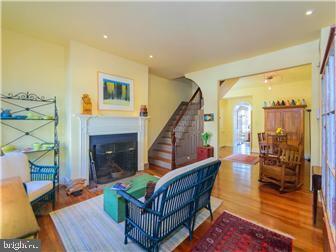 A turned staircase takes you to the second level, with two very spacious bedrooms. A hall and bank of custom built-in closets opens to the spacious master suite, with a stunning full bath and an enclosed porch. The third floor has a large bedroom, a full bath and offers river views from its office/sitting area, making it a great guest suite. 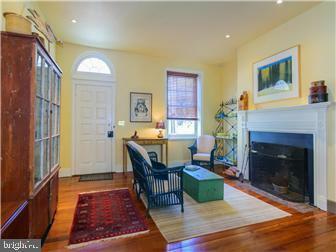 The lower level has a charming den/seating area and a large room with a full walk-out to the rear gardens. Perfect for a workshop, a game or recreation room. A full bath and a laundry room complete the lower level. The preservation and restoration efforts at 27 The Strand addressed interior and exterior elements with extraordinary fine craftsmanship. Records and receipts are available for review. Gas heat delivery. Central air-conditioning. You'll find world-class museums, casual and fine dining options, art galleries and shops within a few minutes' stroll. 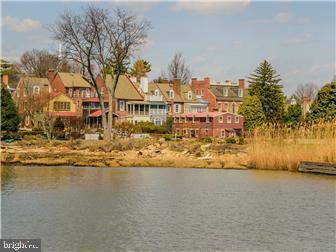 Convenient to an Eastern Corridor Amtrak station, I-95, an International Airport and countless Arts and Entertainment venues, don't hesitate to consider Historic New Castle as your next home! Call for your private showing.